A Shout Out for Harbor Mid City! Now that we’ve moved to the border each week we look forward with much anticipation to worshipping with our good friends at Harbor Mid City Church. 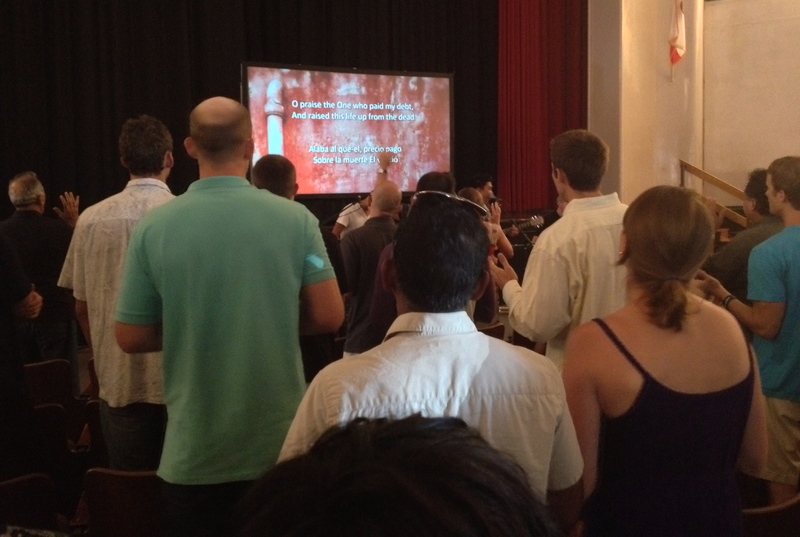 It’s a wonderful multicultural, bilingual time of worship each Sunday morning. We sense the Lord’s presence in a very real way during the service. God is both immanent or present and transcendent. Pastor Stephen Phelan has assembled a great team to minister alongside of him. Stephen is the lead pastor at Harbor Mid City, and Edgardo Avila leads the Spanish-speaking congregation. Even though we worship in two languages, we are able to start and end each service together. It’s a beautiful sign of the diversity in the church. We conclude most Sunday mornings with communion, The Lord’s Supper, which reminds us of the death of Christ, and that he is coming again. It’s also an equally beautiful display of our unity in Christ. Pray for the ministry of the church as we reach out to the various cultures represented in City Heights and beyond. The following two Saturdays we will go down to Tijuana with those from the other Harbor sites to build a church for a new church plant in east TJ. Our prayer along with Harbor is that the bi-national city of San Diego – Tijuana will be transformed in every way socially, spiritually and culturally by the gospel.